In my bloody mary travels, I have discovered that the closer you approach our maple syrup loving Northern neighbors, the more you'll see one very interesting tomato based cocktail variation -- The Caesar. Invented in 1969, it's basically a bloody mary but uses Clamato instead of regular tomato juice. Clamato sounds like it could be anything from a 90's group dance with repetitive choreography to a ShamWow spin off to a persistent bout of toe fungus, but in fact, it's just a combination of tomato and clam juice. If you can get over the rather unappetizing name, and the fact that you are actually drinking something called "clam juice," you'll probably be sold. Lending a more complex flavor generally and having a bit more salty brininess, the Caesar provides a good alternative to your traditional bloody mary. But the thing I enjoy most about Caesars is the fact that, unlike bloody marys which are often relegated to brunch time only, the Caesar is a perfectly acceptable cocktail to drink any time of day. Made in Montana, Parker's Hangover Tonic is a Caesar drink mix featuring the tagline "When you feel dead, it'll clear your head." I agree. 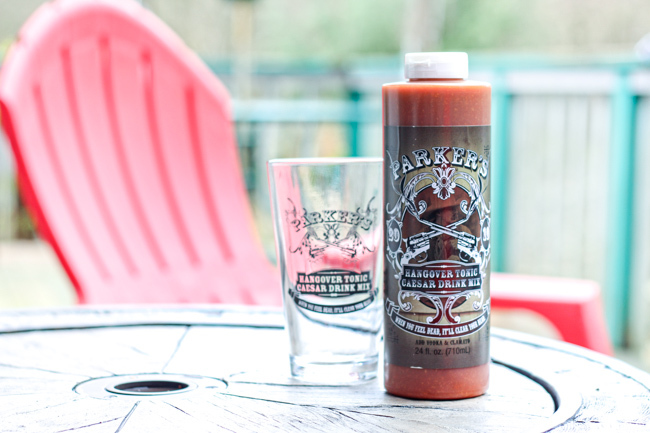 Unlike traditional mixes, Parker's is a tonic that gets added to vodka and Clamato (or tomato juice). I didn't have a bottle of Clamato on hand, but I did have my trusty can of Sacramento tomato juice. Even though I only used regular tomato juice, my first impression was that of a Caesar and not of a bloody mary. A certain combination of hot sauce, lime juice and horseradish provided a briny ocean-like tanginess you often only get from a Caesar. A significant amount of heat kept my taste buds dancing like a bouncy house of mouth fun, and a bright vinegar intensity elevated the savory tomato backdrop. But the inventive folks at Parker's Hangover Tonic don't just stop at Caesars. They had the rather unusual, but genius, idea to add scotch to their Caesar mix. Called the Bloody Scot, it subs out your typical vodka for a full shot of scotch. You can check out the original Bloody Scot Recipe, plus loads of other recipes, on Parker's website. Personally, ever since a long story involving Novocaine and a plastic bottle of terrible Irish whiskey, any sort of whiskey or scotch just hasn't appealed to my vodka-laden drunken ways. But I wanted to give it the good ol' college try. I happened to have a bottle of 12 yr Aberlour on my bar shelf, so I built upon Parker's inspiration with the scotch-timid in mind. The result is a slightly smoky, more complex cocktail that doesn't overpower. As I myself am half Scotch-Irish, I named this beauty "The Bloody Half Scot." Get the recipe below! 2. Add the scotch, vodka, Parker's Hangover Tonic, and tomato or clamato juice. 3. Stir, garnish and serve! 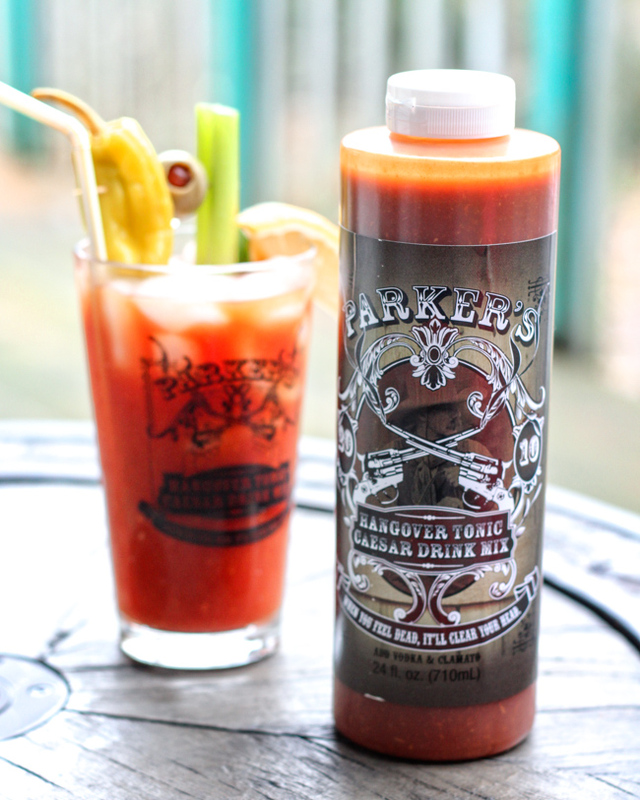 Parker's Hangover Tonic is available via Parker's website and various other locations. Please give them a shout out via Facebook or their Instagram page!